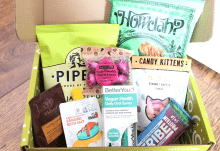 If you’re on a budget but still want to treat your skin to some new products every month, why not try the Glow Starter Box from Mask Time? 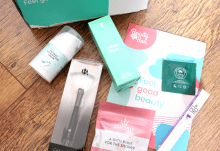 This affordable subscription box sends you a selection of four sheet masks from Korean beauty brands and it’s the perfect way to incorporate some K-Beauty into your weekly pampering routine. 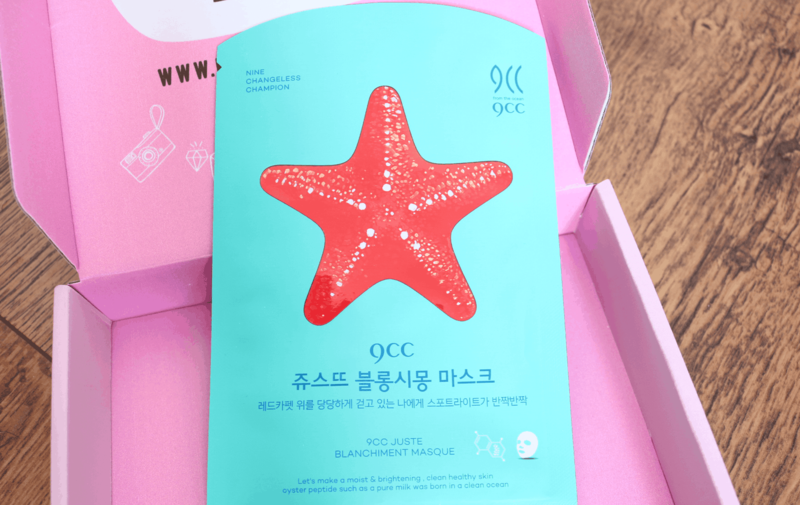 The first mask that I picked out of the box is the Juste Blanciment Masque which has been specially formulated to give your skin its glow back and keep it moisturised all day. Suitable for all skin types, it features Black Pearl extract to improve the appearance of wrinkles, Niacinamide to brighten dull complexions, Green Algae to boost hydration, Aloe to soothe and protect the skin and Vitamins B5, C & E to keep the skin moisturised and balanced. An excellent all-rounder! 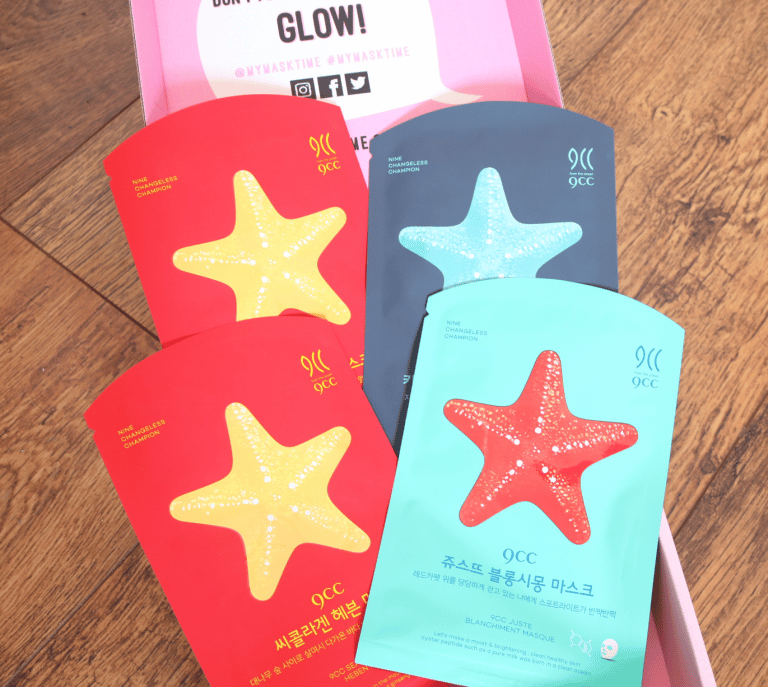 The next two masks are both the same and this Sea Collagen Heben Maske is perfect for those who want something that will help with wrinkles and offer anti-ageing benefits. Featuring ingredients such as Sea Cucumber extract to boost cell renewal and firm the skin, Peptides for their anti-ageing properties, Mexican Cactus extract to deeply hydrate, and Witch Hazel to help fight acne and blemishes. Keine Akne Saubere Maske is the last product and this one helps to relieve the skin from stress, leaving it looking brighter and feeling more revitalised. It contains a range of botanical extracts such as Tea Tree to reduce the bacteria that forms on the skin’s surface which leads to blemishes, Purslane which is rich in Vitamin C, Magnesium and has powerful anti-oxidant properties to help refine the skin, Liquorice to reduce blemishes and excess sebum and Portulaca Leaf extract to repair any skin damage whilst shrinking pores. 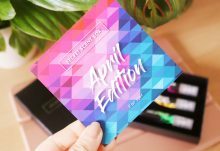 An excellent introduction to a popular Korean beauty brand!